When it comes to selecting hardware for your CAD system, the first thoughts that come to mind are often related to “horsepower” – lots of RAM, a high-end graphics card, a large and fast hard drive. While having a high-end system is one of the most important aspects of an excellent user experience with SolidWorks, or other 3D CAD software. However, one of the more overlooked aspects of a great setup is the CAD monitor. Think about it – the monitor is the piece of hardware that actually enables you to directly interact with that great computer you’ve purchased or built for your workstation. In this article, I’ll make the case for not taking your monitor for granted, and suggest three monitors that you might consider for your workstation. 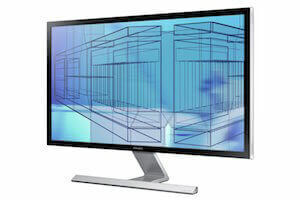 In general, you don’t want to skimp when selecting a monitor for your CAD system. There are two major reasons for this – Screen real estate is incredibly valuable to your work flow and productivity, and a high-resolution, fast response time monitor provides you with the most comfortable, visually satisfying user experience. What to look for in the Best CAD Monitors? With regards to size, a larger screen is generally preferable, to a point. In general, you’ll want to find a monitor or set of monitors sized to at least 21” for CAD work. It can be incredibly difficult to work on complex 3D models using a smaller, lower-resolution monitor. It can feel a bit like looking through a keyhole, when you would rather be able to see a complete picture. If the monitor’s working properly, you should have enough screen space so that you do not even notice the monitor’s presence while working on your 3D CAD projects. Monitor resolution is basically the number of pixels that your monitor can display for a given area. Again, the higher the resolution, the better. It only makes sense that you’ll want to view the most information per unit area of screen space for the highest quality experience. Many users find that multiple monitors may increase productivity. Many CAD users who switch between software frequently while working on a project keep one application open and visible in one monitor, while keeping SolidWorks or other CAD software open in another. This minimizes the time it takes to minimize, maximize, and reorient application interfaces in between tasks. It is even possible within many current 3D CAD packages, including SolidWorks, you can choose to “Span Displays” to enable the software to cover multiple screens. This might be useful for particularly large or complex models. This budget monitor is perfect for CAD. It has large screen real estate at 21.5 inches. It is slim and mountable on the wall if desired. It is equipped with full 1080P with HDMI. 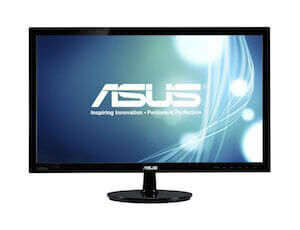 This is a 27 inch display with IPS technology. In simple terms, IPS offers users wider viewing angles (in this case, 178 degrees) and better colors by allowing more light to pass through the monitor. As an added benefit, this CAD monitor comes equipped with two 3-watt speakers for sound. 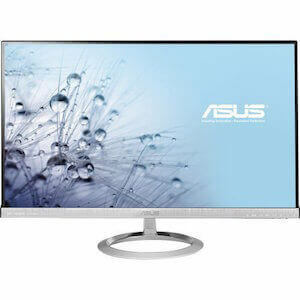 This is one of the top-end monitors with a 4K resolution display. The monitor has over 1 billion colors for the best picture quality. If you want the best hardware possible for SolidWorks or other CAD softwares, then this monitor should be in your arsenal. If you’re unsure of where to start, take a walk around your local electronics or computer shop and test-drive a few monitors. Get a feel for the different available sizes, and pick a setup that will work for you. Just keep in mind that it’s important to consider just how important this piece of hardware is to your experience when using 3D CAD applications! Therefore, make sure to choose the best CAD monitor that fits your budget and needs. Good luck!